Private mortgage holders normally sell their mortgage note to deal with urgent financial needs requiring a large sum of money. Reasons may include paying off debt or medical bills, paying college tuition, paying legal fees, etc. As there are no restrictions on how you can spend the money derived from selling a mortgage note, you may want some guidance as to how to sell your mortgage note. Here is a step by step guide to selling your Florida mortgage note. There are a number of note buyers willing to buy your mortgage note, secured by a Florida mortgage. Normally, you would contact a Florida Note Buyer and provide some basic information, and get an offer based on the current market value of the mortgage note. 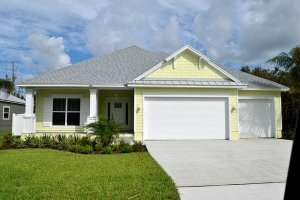 There are many options available to you, when selling your Florida mortgage note. You can sell the entire mortgage note, sell some mortgage payments now and then receive the rest of the mortgage payments later. When selling your mortgage note in Florida, you will need to provide copies of the settlement statement (HUD1), the promissory note, and mortgage. Be sure you have the originals of these documents available (especially the promissory note) because they will be needed at closing. Buyer review – Your Florida mortgage note buyer has to perform due diligence review of the transaction. This includes a review of the buyer’s credit, tax, insurance status, and a payer interview. The note buyer will also review additional documents… payment history, hazard insurance and title report. Appraisal – The note buying company will have to have the property appraised to determine its current value. This is usually in the form of a Broker’s Price Opinion (BPO) or a drive-by appraisal. Title search – The purpose of the title search is to verify ownership of the property and determine if there are any outstanding liens on the property. After completion of due diligence in selling your mortgage note in Florida… you move to closing. Here. the note buyer prepares all the closing documents for the transfer of the mortgage note. In most cases, the title company or attorney will handle the closing… including the transfer of funds to you. If selling your mortgage note in Florida seems overly complex and more than a little confusing, don’t worry, we are here to help. Interested in selling your mortgage note in Florida? Call us today at (772) 232-2383 or send us a message now!